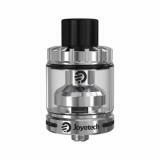 The Joyetech Riftcore Solo is designed to add more amazing coil-less vaping experience! 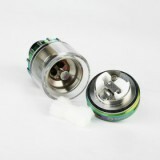 It features innovative RFC Heater for easy wicking and long lifespan. 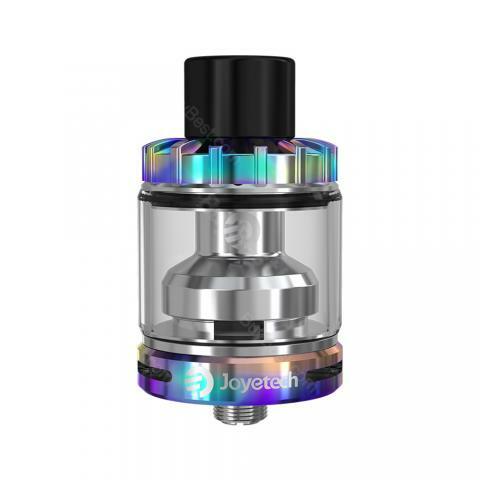 Featuring the innovative coil-less design, the Joyetech Riftcore Solo Atomizer brings a new concept for a rebuildable tank. The Riftcore Solo adopts RFC Heater with molecule heating technology, providing a long lifespan. It frees your hands from countless wires and sophisticated building. And the RFC heater passes the safety test from the independent US laboratory. The heating element in Riftcore Solo also has a self-cleaning function for easy cleaning. Just remove the cotton and dry burn the RFC heater at 30W for 3 seconds. Let it cool for 10 seconds. Repeat the dry burn and cooling cycle a few times until the heater is clean. 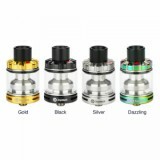 • It doesn't come with e-liquid, you shall buy separately. • Note: Don't dry burn the RFC heater at the wattage more than 35W to avoid unnecessary damage. Joyetech Riftcore Solo Atomizer utilizes the famous RFCTM heater, which features longer lifespan than ever. The RFCTM heater takes a horizontal building way to achieve a pure and delicate flavor. This is unique design. Coil less with innovative heater with long lifespan. 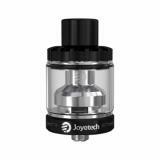 Max wattage for this tank is set relatively low - just 30W. I would love to try this one.